When the temperature heats up in Bonny Doon, there’s nothing like having a deck or patio to kick back on and enjoy the warm weather. A functional deck design and patio layout is dependent on meeting your specific needs, so it's a space that needs to be created carefully. Luckily, there are professionals to handle your deck installation or patio design — hiring a Bonny Doon, CA deck and patio builder is your surefire ticket to creating an outdoor oasis! 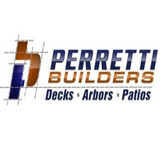 What services do deck and patio builders in Bonny Doon, CA provide? To help you choose the ideal style, configuration and materials for your deck or patio, your deck and patio contractor will survey your Bonny Doon, CA lot and your home to come up with a design that complements your exterior as well as being structurally sound. He or she will recommend sizes, heights and construction materials that suit your lifestyle and climate, as well as explain the best stain or finish options. Additionally, deck and patio professionals can provide insight into additional components such as outdoor kitchens, patio covers, fire pits, outdoor lighting, arbors and more. 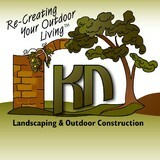 Your deck and patio professional might work closely with another Bonny Doon, CA lawn and landscape professional. 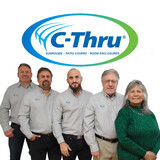 Here are some related professionals and vendors to complement the work of decks, patios & outdoor enclosures: Landscape Architects & Landscape Designers, Garden & Landscape Supplies, Stone, Pavers & Concrete, Landscape Contractors, Building Supplies. 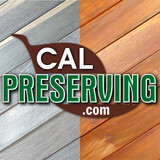 Find a deck and patio builder in Bonny Doon, CA on Houzz.